*1:Craig A. Blaising and Darrell L. Bock, Progressive Dispensationalism, (Grand Rapids: Baker, 1993), 21–56. *10:Charles C. Ryrie, "Update on Dispensationalism," in Issues in Dispensationalism, eds. Wesley R. Willis and John R. Master (Chicago: Moody, 1994), 20–23; idem, Dispensationalism, rev. ed. 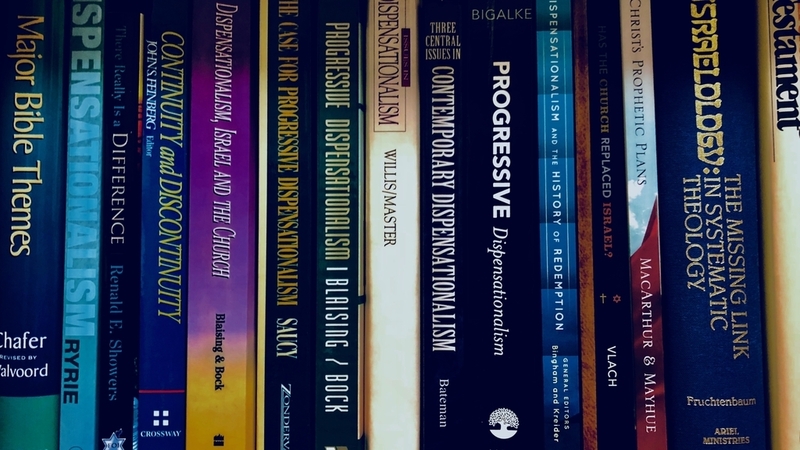 (Chicago: Moody, 2007), 189–212; Robert L. Thomas, "The Hermeneutics of Progressive Dispensationalism," in Progressive Dispensationalism: An Analysis of the Movement and Defense of Traditional Dispensationalism, ed. Ron J. Bigalke, Jr. (Lanham, MD: University Press of America, 2005), 1–15. *11:たとえば、Blaising, "God's Plan for History: The Consummation," in Dispensationalism and the History of Redemption: A Developing and Diverse Tradition, eds. D. Jeffrey Bingham and Glenn R. Kreider (Chicago: Moody, 2015), 195–218. *12:Vlach, 99–100; Michael J. Svigel, "The History of Dispensationalism in Seven Eras," in Dispensationalism and the History of Redemption, 90–91. *14:Ryrie, "The Doctrine of the Future and the Weakening of Prophecy," in Eschatology: Biblical, Historical, and Practical Approaches: A Volume in Honor of Craig A. Blaising, eds. D. Jeffrey Bingham and Glenn R. Kreider (Grand Rapids: Kregel, 2016), 71–76.